What a difference a clean makes! The scientific benefits of getting plenty of natural light has been proven. Both your physical and mental health are dramatically improved with a healthy amount of natural sunlight. A Conservatory represents an environment in which you can always enjoy the sunlight available, regardless of the inclement weather we face in our country. On top of the medical benefits there is the obvious maintenance and care of a part of the house often neglected. 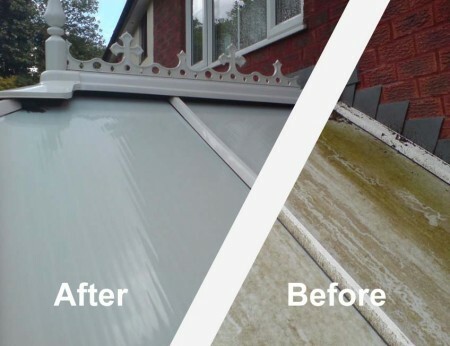 A well maintained conservatory can dramatically enhance the whole look and value of your property. Let us help you make the most of your conservatory!